Today we have changed the detail view of Appicaptor app analysis results to provide an improved overview. 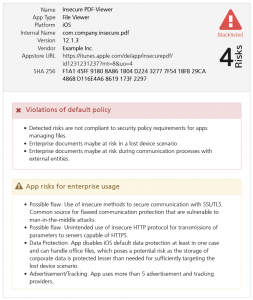 The new overview section summarizes the related meta-data, violations of security requirements and general risks for enterprise usage. The blacklisted or compliant symbols now provide the rating at a glance and the compact summary is more clearly separated from the more detailed analysis data. 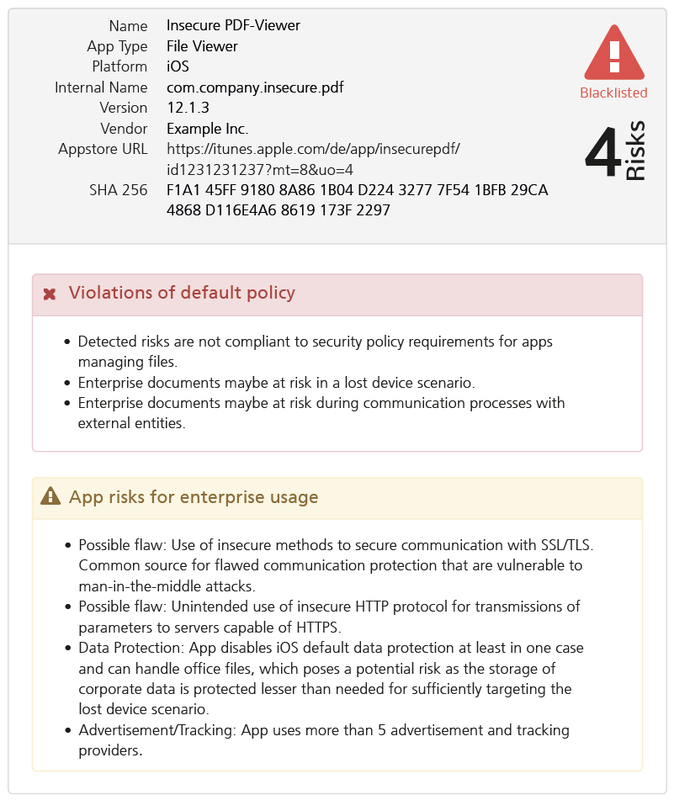 The well-tried list of detailed information on the app’s security quality is presented below the overview section, following the similar design of the new PDF-Report that was already introduced earlier. This design change is a next step of the migration to our new Appicaptor version that will provide new analysis engines for iOS and Android. 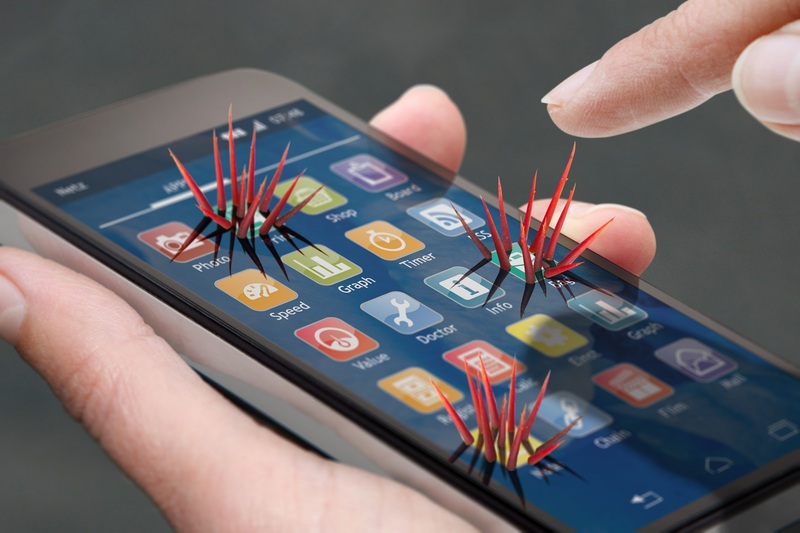 These allow for an even deeper detection of bad app security quality. The new version will be shown at it-sa fair 9 – 11 October 2018 in Nuremberg, Germany.